Just Kidz Flatbush is a new, purpose built centre licensed for 73 children. 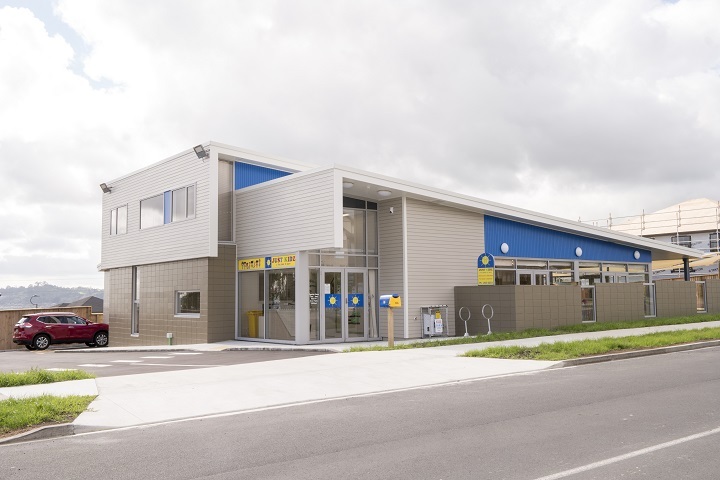 It is a beautiful, light and modern environment, extremely well equipped with new and exciting resources. 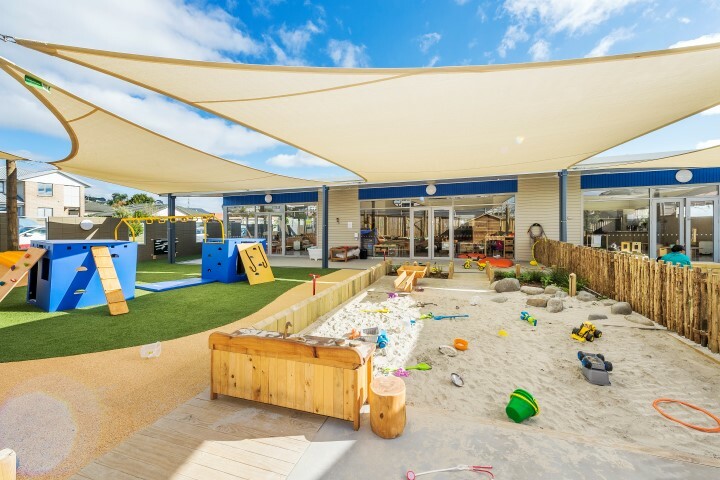 We aim to create a welcoming and nurturing environment that provides stimulating and safe learning spaces, where children can become confident and competent learners. Our dynamic teaching team are skilled professionals who are passionate about the care and education of young children. We promote responsive, reciprocal and respectful relationships between children, teachers and families/whānau. Each child is accepted as unique. Our programme fosters children’s natural curiosity, building on their interests to develop individualised learning programmes and empowering children to learn and grow. At Just Kidz Flatbush we welcome, recognise and celebrate all cultures. 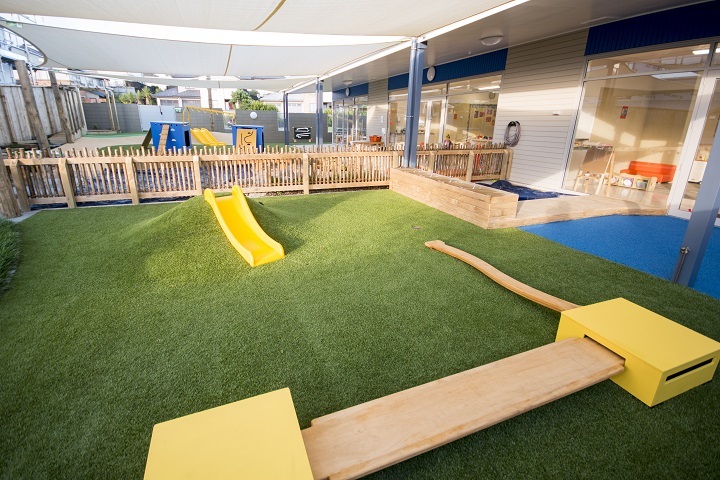 The Koru room is the learning space where our infants are nurtured. The Koru is said to represent new beginnings and growth. Care is a big part of the curriculum in this age group and individual routines are followed. Time and effort is given to build loving and respectful relationships with each child and family. 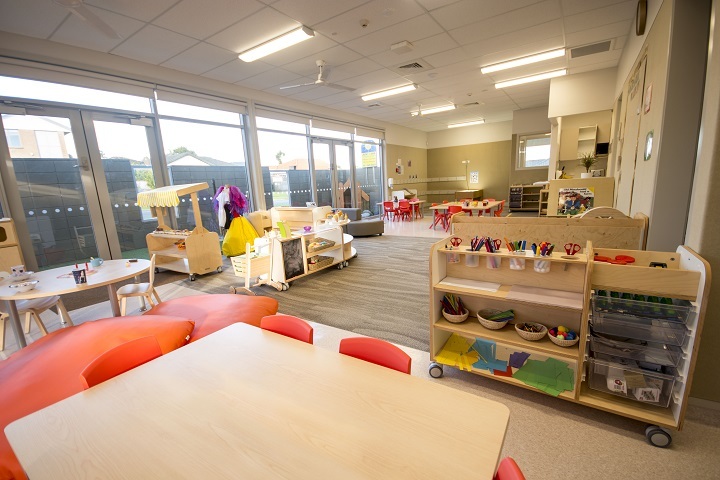 The Rangahau room is the learning space for our toddlers. Rangahau means investigate. Learning the importance of boundaries, routines, trust and respect are key here. 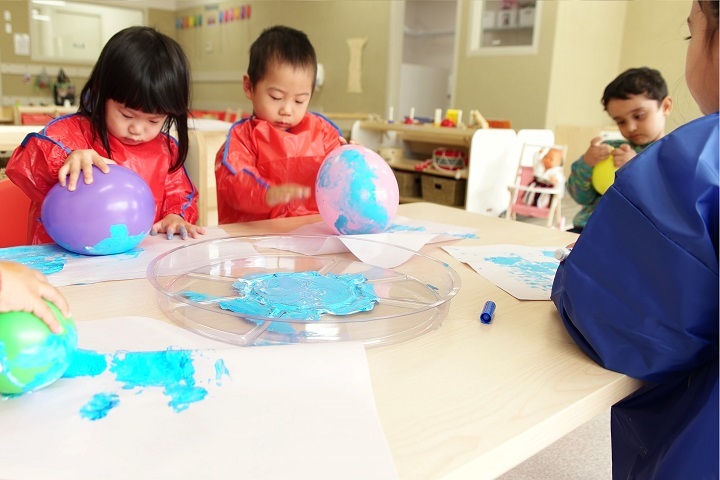 Gaining skills for independence and self-discovery are important. perseverance, energy, determination and inspiration. The focus for this age group is self-help skills, social competence, self-confidence, numeracy and literacy. A holistic approach ensuring children are prepared to continue their learning journey when they leave for primary school. I am Wei Luo (Max),I am originally from Shanghai. 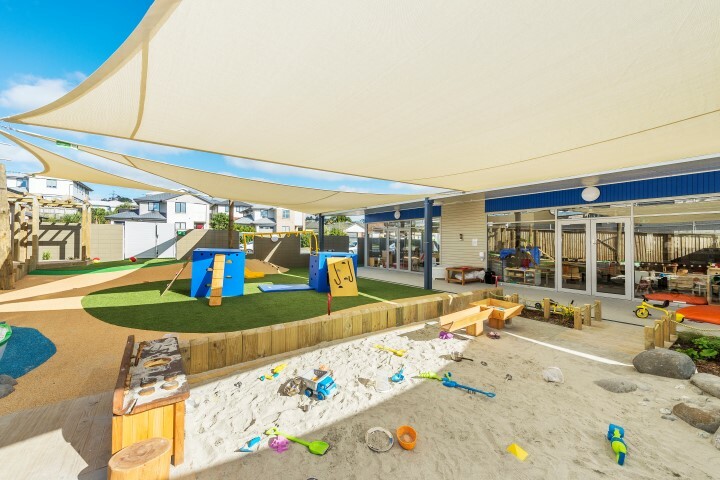 I am new to New Zealand and live with my wife and 3 month old son.At Just Kidz Flat Bush we are providing a high quality and large range of learning resources in a stimulating environment. Our professional teaching team are passionate about working with our youngest learners. As a successful business investor I hope to provide an excellent level of care and education and ensure Just Kidz is one of the best preschools in Flat Bush. I have trained and worked in the early childhood education sector for over 30 years, including owning and managing my own centre. I have a Diploma of Teaching ECE and am a fully registered teacher. I am passionate about building strong relationships with children, whānau/family and staff. 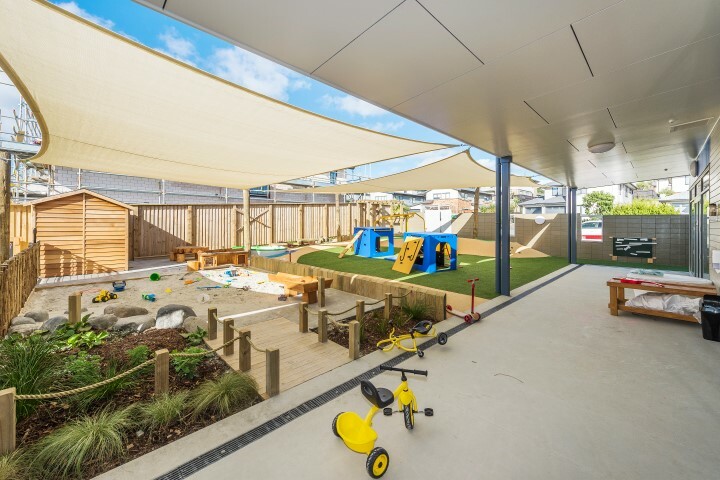 I am committed to ensuring Just Kidz Flat Bush is an inclusive, fun and loving learning environment where tamariki/children can grow to their potential. Ko Candice Bester toku ingoa. I am the head teacher for the preschool room. I hold a Bachelor of Education (Pasifika Early Childhood Teaching). I am originally from Cape Town, South Africa. I have always had a deep passion to work alongside our tamariki and their whanau and see them reach their potential. Embracing different cultures, languages and building authentic, trustworthy relationships makes me happy. Seeing our tamariki grow in a positive, confident environment where they are comfortable will allow them to achieve great things. Kia Ora my name is Shirley Harris. I am the head teacher in the Toddler room. I have lived in Auckland all my life. I have worked in E.C.E for the last 20 years in a range of settings. I hold a Bachelor of Education ECE and am a provisionally registered teacher. My teaching strives to build children to become the best they can be in life. I love communicating with all cultures and my passion is learning about languages, cultures and food! I am looking forward to a rich relationship with all families and children at Just Kidz. Hello, my name is Wendy and I am originally from China. I can speak English, Mandarin, and Cantonese fluently. I hold a Bachelor of Education, (Pasifika early childhood teaching) and am a provisionally registered teacher.My teaching philosophy is to foster each child as a whole child as well as respecting their individual cultural background. My name’s Steph, I am a fully registered teacher and have my Degree in Early Childhood Education and many years’ experience working with children. I also become a mumma last year to a beautiful girl Ayla who will be attending Just Kidz in the babies’ room. I am very excited to a part of this new team and look forward to meeting you all. I will be working Thursdays and Fridays. Hi, my name is Rachel, as a mother of two children and having worked in childcare centres for a few years, I have grown my experience in nurturing and caring for the needs of young children of all ages. My passion is working with young children and I believe that all children have something very special to offer and it is our commitment to ensure they do. I am currently training toward my early childhood qualification and currently have level 5 ECE. Once I have completed my training, I will become a provisionally registered teacher. Hello, My name is Sarabjit Labana and I am originally from India. I am the proud mum of a son. I have Master of Early Childhood Education and am a fully registered teacher. In my spare time, I love spending time with my family, reading books and listening music. I love working with the children. Being an admirer of Reggio Emilia Approach, I believe environment as a third teacher. I love taking children in nature to have life-long learning. I also believe that children are capable enough to create learning and achieving milestones, the only thing they need is the right direction. As a teacher, it is our responsibility to provide that support and guidance. I aim to provide experiences to the children to help them growing in independent, confident and competent learners. I am also passionate about getting the children ready for the school so that they can start their next level of learning journey with full confidence. My name is Nirjit Kaur. I moved to New Zealand from India in 2007. I have been working as an early childhood teacher since 2008. I obtained my Bachelor of Teaching in early childhood education from Unitec, Auckland in 2011. After completing my education I have worked with the infants and toddlers. I am passionate about working with the children under the age of two years. I believe it is important for the teachers to develop strong, respectful relationships with the children and their families so as to promote the learning and development of the children to the optimum level. Having strong bond with the teachers enables children to feel happy, secure which further empowers them to learn through exploration. I am also passionate about implementing bi-cultural and multicultural teaching to support cultural diversity. I am married and a mother of a boy named Hans. My hobbies include book reading, listening to music. Kia Ora, namaste and a warm Pasifika greetings. My name is Niyanta Chand I was born in Fiji but raised most of my childhood years here in Aotearoa. I completed my Early Childhood Qualification through Auckland University of Technology in December 2017. I am a Qualified ECE teacher and hold a First Aid Certificate. I have always been passionate to look after children from an early age, it’s a beautiful journey as we capture their first steps and cute moments of their learning and experience. I believe that the early years of development are the most fundamental years of a child. It’s a lot more than looking after children but seeing and treating each child as an individual is part of what makes that child a unique person and is a way of appreciating their special characteristics.